Five officers formed a human chain, grabbing onto each others’ belts. 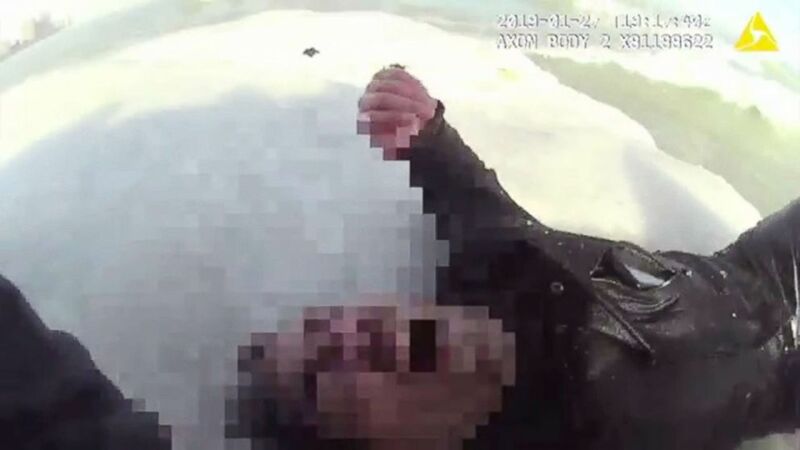 "We didn’t talk about it, we just kind of did it," Chicago Police Sgt. Alex Silva said during a press conference on Monday. "But it seemed to make sense." 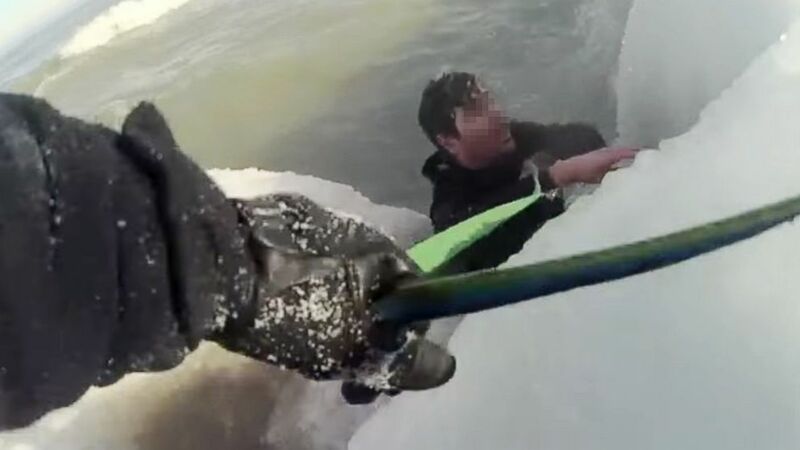 (Chicago Police) Chicago police rescue a man trapped in Lake Michigan after he jumped in to rescue his puppy, Jan. 27, 2019. "I’m glad we were there quickly," Silva said. "I have no doubt that I would have died without help, I am forever grateful to them. The first responders treated me and my dog in the ambulance and the emergency room. They allowed Pika to stay with me under the warming blanket in the ER. My core body temperature had dropped to 93 degrees. Pika and I are both fully recovered and in debt to our gracious and heroic first responders," the statement read, in part. Illinois is one of dozens of states trapped in a protracted, dangerous cold snap. At least eight people have died as a result of the cold weather gripping the Northern Plains and Great Lakes regions.